We all procrastinate. Like it or not, it’s a part of each of our lives—but it doesn’t have to be a central part. We found out how six experts finally beat procrastination and got focused. Let’s face it, procrastination is pretty much universal. Indeed, it seems like delaying and putting off our responsibilities might be one of the few basic truths of being human, one of the few threads that bind this species’ disparate members together. Perhaps there is nowhere one can better observe the full range of human diversity and creativity than by examining the ways we seek to avoid our obligations. Some of us are occasional procrastinators, while others are repeat, serial offenders, flaking our way through life and leaving a trail of broken promises, missed appointments, and rushed jobs behind us. But all is not lost. Every one of us can improve, no matter how deeply-ingrained our lethargy is. We consulted six experts of efficiency to learn their strategies for beating procrastination. Here are their best-kept secrets. You wouldn’t try to run a marathon without training beforehand, would you? So maybe you shouldn’t be surprised when, after a long day, you reach your limit and can’t focus anymore. That’s what Kelly McGonigal says. In her book, The Willpower Instinct, McGonigal describes a novel way to think about the problem of procrastination: she calls it the “willpower muscle.” And if you don’t exercise this muscle, it will keep being weak and you’ll keep procrastinating. So how do we exercise this muscle? First, as with physical exercise, make sure your diet’s right: eat lots of low-glycemic foods like nuts, whole grains, fruits, and vegetables are great brain food. Once you’ve fed your willpower muscle properly, you can start exercising it with what McGonigal calls “willpower challenges.” She suggests to keep small sources of temptation—say, a jar of candy—in easily visible locations. Don’t eat the candy, but don’t put it away either. You’ll find that over time, it stops being as tempting, and that isn’t just because it’s covered in dust and spiderwebs (you were supposed clean this week, remember?). No, McGonigal says, the jar feels less tempting because your willpower is stronger from the constant exercise. 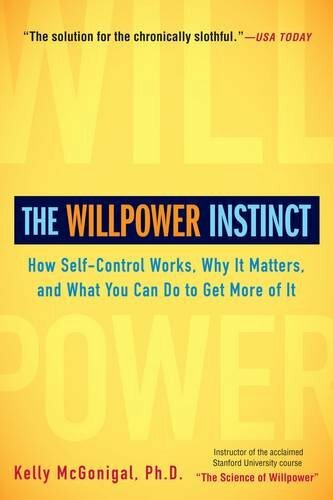 Read Kelly McGonigal’s book in 10 minutes: The Willpower Instinct. Do you feel envy in your heart? Do you see your colleagues and peers effortlessly starting, and then finishing tasks, with hardly any agonizing or whining and only minimal trips to the coffee machine and bathroom? Daniel Goleman says that their diligence is no accident. Rather it’s the product of a lifetime of effort. That’s right, your ability to concentrate is not determined by the obscure genetic soup bequeathed to you by your parents. Rather, it’s the result of training that you’ve done, consciously or not. And this is lucky, says Goleman, because it means it’s possible to get better. How? One great way to improve your concentration and focus is through meditation. When you meditate, you’re learning how to be subconsciously aware of your own concentration and focus, and learning how to subtly and seamlessly redirect your focus back to the task at hand without interrupting your higher thoughts. Meditation helps us to recognize when our minds begin to wander and strengthens our ability to focus on what’s important. So the next time you notice yourself procrastinating or compulsively checking your email, says Goleman, make sure you register it and return your focus to the task at hand. 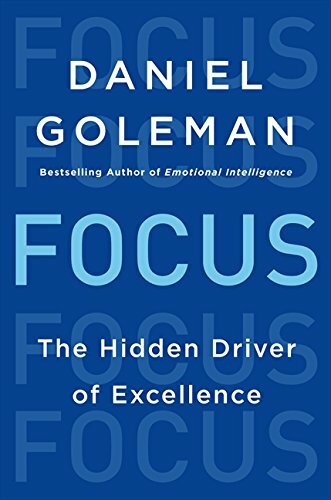 Read Daniel Goleman’s book in 10 minutes: Focus. Everyone knows that you tend to be far more productive after a good night’s sleep. And yet we’re often tempted to skip a few hours in order to work just a little bit more. This phenomenon is backed up by studies. Researchers found that students attempting to solve a problem performed better following a night of sleep than a night spent awake. Ultimately, you’re twice as likely to solve a problem after you’ve slept on it. This shows that sleep is essential, and attempting to work when you’re tired can often be counterproductive. 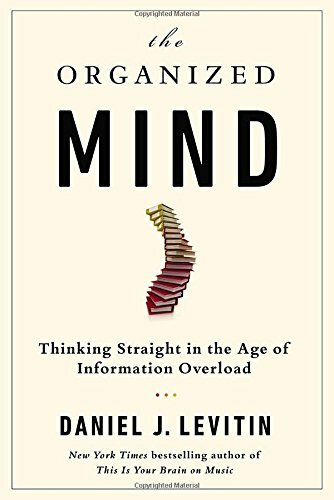 Read Daniel Levitin’s book in 10 minutes: The Organized Mind. One factor people with procrastination issues often don’t think about is how greatly the right or wrong environment influences us, says Marie Kondo in her book, The Life-Changing Magic of Tidying Up. The psychological and emotional effects of our surroundings can be a crucial factor in our effort to maintain productivity, especially for those who work at home. A tidy and neat work space can make a great difference, and getting there doesn’t have to be a cumbersome chore. Though it might sound unbelievable, changing the way that you tidy your space can have profound effects, not just on your happiness, but also on your very ability to take action. For many, tidying is the first step toward grasping control of their lives. Strive for simplicity and visual order when storing and organizing your belongings. Consider carefully how you feel whenever you use or look at your belongings in the space you’ve designated for them. More practically, tidying makes your decisions around the house straightforward, and thus improves your decisiveness. Efficient and intuitive storage eliminates the stress of having to search through clutter for the things that you need. It allows you to make decisions instead of being stuck searching hopelessly for hours. 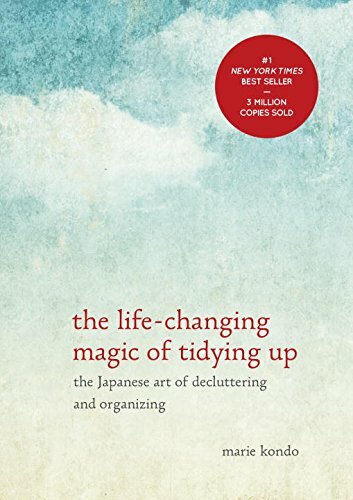 Read Marie Kondo’s book in 10 minutes: The Life-changing Magic of Tidying Up. Most people waste time working at a low intensity, i.e., pseudo-working. This kind of “work” occurs when you study in a distracting environment, such as in front of the TV, or working through a long and continuous period of time where your concentration drops. For example, while it might feel like pulling an all-nighter was “hard work,” the loss of concentration due to sleep deprivation means that you were weren’t doing as much work as you thought you were. In his book, “How to Become a Straight-A Student,” Cal Newport has some tips on procrastination that can be helpful even for people who are already finished with their studies. Cal Newport says a better way to focus your time is to work in short, high-intensity bursts. Indeed, many straight-A students spend a few intense intervals studying, while their less successful counterparts study much longer at lower intensity. Studies show that the optimal learning period is roughly 50 minutes, so you should work no longer than one hour before giving yourself a break. By reducing the time and ramping up the intensity, you’d find yourself with extra hours to do whatever you want – meet friends, party hard, sleep, relax, you name it! 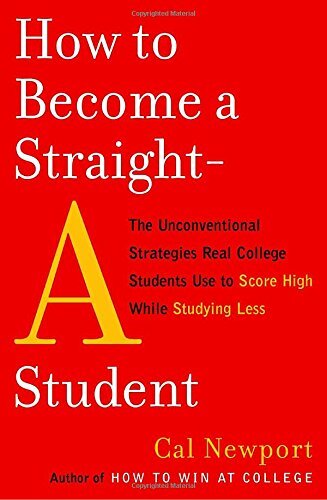 Read Cal Newport’s book in 10 minutes: How to Become a Straight-A Student. Usually, the hardest part about doing your work is actually just getting started. Because the task itself seems so large and insurmountable, we can’t see a light at the end of the tunnel. In fact, strategic management can make such a big difference it can even defeat the greatest source of procrastination of all: the inability to get started. A smart approach is key especially when we are confronted with daunting tasks and the fear of failure that often comes with it. In his book, The Now Habit, Neil Fiore shares his tips for how to finally get started with those tasks. The ‘starting problem’ is especially true for vague goals about the distant future, such as “earn a great degree” or “learn to play the piano.” They don’t offer us any rewards along the way, and are therefore totally unmotivating—you just work and work, hoping that you’ll one day reach this huge goal. So what’s Neil’s strategy for overcoming this tendency? Easy: just chop your work into small, manageable tasks that can be checked off the list in no time at all. If a task can be done in less than half an hour, it’ll be easy to muster up the motivation to start, and once you’ve completed it, you’ll be rewarded with a sense of accomplishment that restores your sense of control. 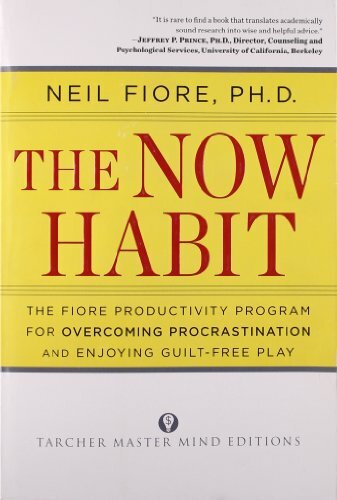 Read Neil Fiore’s book in 10 minutes: The Now Habit. You’ve heard it from the experts: diligence can be learned. Sure, procrastination is a natural part of being human. But so is loving hammocks and soft pillows. So the next time you feel its gentle yet irresistible pull, and the sweet perfume of idleness wafts into your nostrils, remember what our panel of experts said. You can beat this. We believe in you. This article was written with research contribution from Puo An Wu. The HighExistence team spent over six months creating the ultimate life experiment. We call it 30 Challenges to Enlightenment. One of the main purposes of the course is to help you stop procrastinating on your highest aspirations. There’s even an entire 30-day challenge called Anti-Procrastinator, designed to help you confront and overcome your procrastinating tendencies. If that sounds good, this course is for you. Joe Dixon loves combining psychedelic research, philosophy, science, and self-improvement to figure out ways to live more productively and mitigate unnecessary self- and societal-suffering.